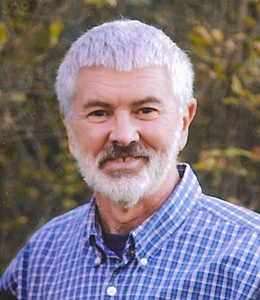 Randall L. Thomas passed away at Olathe Hospice House on January 24th, 2019 at the age of 68. He was a graduate of Raytown South High School, class of 1968, and continued his education and received his business degree from the University of Central Missouri in 1972. Randall married Denise Perrine in 1978 and established a lifelong residence in Olathe, Kansas. Randy worked for American Curb and Flatwork where he advanced to Chief Estimator/ Vice President of Sales, and then started his own commercial flatwork company, Thomas Concrete Specialists. He had many interests including boating, beach vacations, rock music, jogging, and an insatiable thirst for adventure including a two month backpacking trip through Europe after college graduation. Annual family vacations were a favorite time he looked forward to every year. He is survived by his wife Denise of 40 years; his two sons Justin (Stephanie) and Jordan (Casey); and his three grandchildren Ayden, Brody, and Rand. He is also survived by his mother Anna Blackman; three step brothers Rusty (Barbara), Kent (Debbie), Dave (Pat) Blackman and his uncle Jack Hackley. Add your memories to the guest book of Randall Thomas. Thinking of you and your family, Anna. My heartfelt condolences for your loss. Please find comfort in the knowledge that God promises to put an end to all the things that have plagued mankind for centuries including pain, suffering and death (Revelation 21:3,4). May these promises from God give you comfort now and real hope for the future. My deepest sympathy.